In Japan, Kintsugi is the ancient art of repairing a broken vase, making it more beautiful than it was before the breakage. 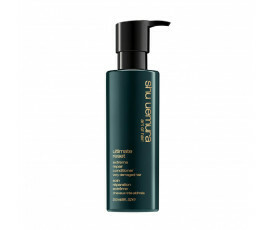 This precious technique has inspired Shu Uemura Ultimate Reset, the complete treatment that deeply regenerates brittle, weakened hair that has been severely damaged by atmospheric agents or overuse of chemical treatments. 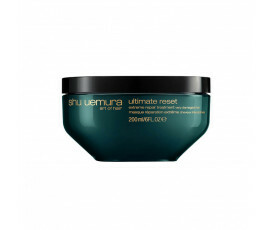 Shu Uemura Ultimate Reset restores weak and damaged hair, leaving it amazingly shiny. Ultimate Reset products are all enriched with Japanese Rice Extract for strengthening hair from the inside. 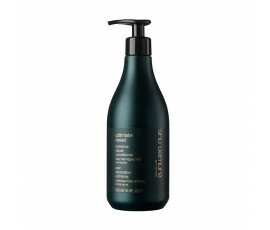 The shampoo gently cleanses hair and scalp while removing all impurities; the conditioner and the mask deeply repair while hydrating without weighing down. Shu Uemura Ultimate Reset leaves hair well-repaired, manageable from roots to ends and shiny like gold.